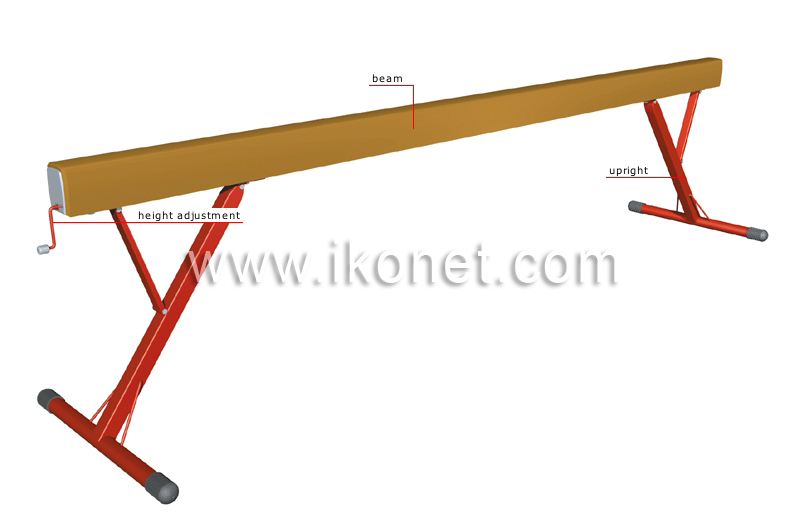 Rectangular wooden or steel bar; it is 5 m long, 10 cm wide, 1.20 m above the floor and covered with a nonskid surface. Crank for raising and lowering the uprights to adjust the beam’s height. Adjustable post supporting the beam.